Looking to build a loyal following on twitter? It is easy to get the numbers, even real followers, but getting engaged followers is never easy. The process requires hard work and skills. In this article, we are not going to discuss any cheats, tricks or spammy technique. The list of followers won’t be zombies that do not retweet or favourites your updates. Here, we are going to discuss several tips by which you can not only get the numbers up, but get a lot of activity on your twitter profile and hopefully bring back some traffic to your own blogs and websites in the process. People’s attention span on the social media is very limited. You need to make an impression within the fraction of a second or else they will close your tab and move on. All you have got is a small one sentence bio and a profile image to impress your potential follower. No point having a random image or your business logo in the profile image – get a headshot of yours and preferably a happy one. Write a catchy sentence about yourself in the bio section and you are done. 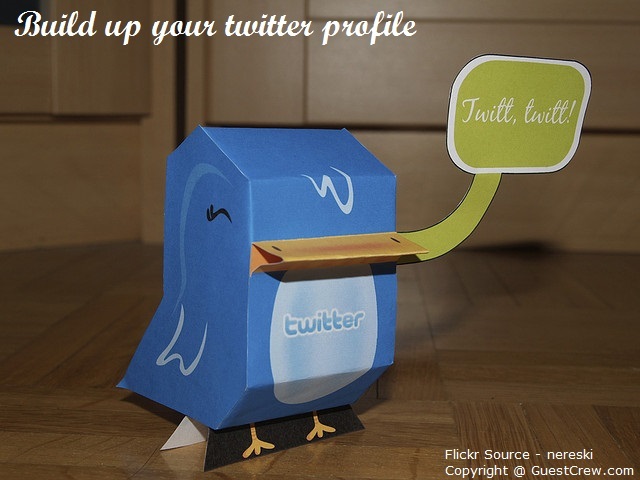 There are other parts of your profile page that can matter as well, the header image for example. Having a good header image can hold on your followers for a few more seconds that can result in some potential clicks, retweets or favourites. It is understandable that you want to plug your promotional tweets, which is after all the main reason why you are working so hard on your twitter profile. But before you start to tweet promotional stuff, you have to realize what you are getting in return. 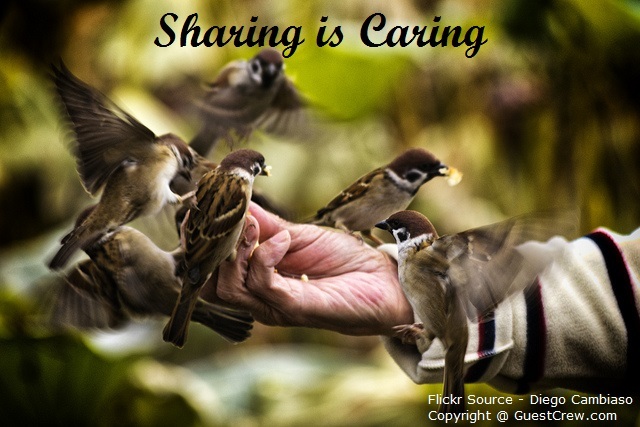 Are your tweets bringing in any retweets or clicks on the links that you are posting? Is there any benefit coming out of this self-promotional tweeting? If not, then it is time to change your tweeting habits and patterns. Your status update needs a balance. Aim for at least 8 updates a day. Make two updates with an image. These are the two updates that will gain maximum attention and will result in most retweets and favourites. Find creative commons image from flickr, add an excellent bit of a quote and attribute the image. Then upload the image along with the tweet. Use at least 4 out of the rest 6 updates for non-promotional content. That will still leave you with one or two updates a day which can be self-promotional. 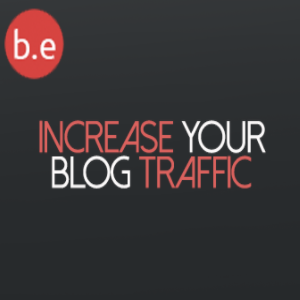 This way, all of your updates, including your promotional ones will be well received by your followers. Rome wasn’t built in a day and neither will be your twitter profile. Twitter allows one thousand follows and unfollow a day. Use this method till it lasts. Follow one thousand targeted people on twitter every day. Out of these thousand people that you follow, a fraction – hopefully about a few hundred will follow back. The number of follow backs will greatly depend on the quality of people you followed. This is the reason why you should be choosy while following up the daily thousand quota. Give it a day or two and then unfollow those that aren’t following you back. Repeat this process every day. This is the best way to get engaged followers. Those who follow you back are mostly people who check their account for incoming influencers and follow back. At this moment, twitter has stopped most tools that used to allow auto-follow-back feature. This means, these are active people that manually followed you back. Is it fair to expect others to share your updates while you never favourite or retweet your follower’s updates? Or even follow them back? This is where many of us fail; we never contribute back and lose out on loyal support. Make a note to check back on the updates of those that support your updates. You don’t have to do it every time, just make sure to do it as much as possible. All of these tips help in retaining and gaining follow-backs. At best, you can expect three thousand to six thousand followers a month. Which is a healthy rate of gaining followers and should take you past your first ten thousand followers in around three months of time? Continue this process for over a year and you will make yourself a twitter influencer. 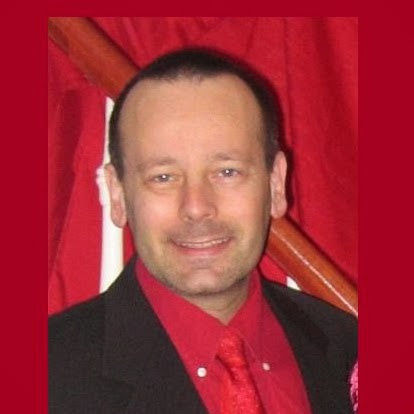 Hey, am Uttoran Sen - the CEO and Founder of the Guest Crew Influencer Marketing Community and a full time Blogger. Follow me on Twitter, Linkedin and Facebook. Great article and thanks for sharing. I’m definitely targeting my 10k followers and doing it from scratch! Just can’t wait but hey, thanks for sharing the tips! I just saw you active on a new blog a few days back – socialmediarush, so thought to check it out. Are you working on a fresh twitter handle for your new blog? I got to my 5k followers, building it up everyday. Perhaps we can do a twitter follower race or something? Great post. Question for you on the one thousand followers a day. I’ve found that once you hit 1000 people you are following, it takes into consideration how many people are following you (it wants just as many people to follow you as you follow). Do you see that issue as well? The limit is at 2,000. Yes, once you hit the initial 2000 followers that you can have, from then on – you can only follow more people if you have as many followers. If I have like 5k followers, then i can follow about 5.5k people. Which means I have to unfollow some people everyday to keep following more people. It’s really good to see you back after your long break and here you are with one interesting post with respect to how to get followers on Twitter. Reaching 10k through Twitter will be a massive success. That is easy to get, just buy few gigs on fiverr and you are done, for just 5$ – natural way is much more harder. This days we have many such services like buy likes and tweets. Buying fans does not works, they are never engaged. Even buying them off from Official channels of Twitter and Facebook can’t get you engaged fans. The natural way is the only way to get people who are interested in your tweets. Fiverr gigs are the worst, every single tweet or follower they provide are bots. Twitter limit for follow/unfollow is 1000 i don’t know this, pls let me know how to find out un follower at a time, Good article about the Twitter. Yeah, that’s the limit. Once you have crossed your initial 2k following limit, you can’t follow more people on twitter – unless you unfollow some or get more than 2k followers yourself. from there on, you can unfollow and follow 1k people everyday. The tips shared here are hands-on. I see some tactics that I have been missing. Getting 10,000 genuine followers on Twitter would be exhilarating. The tip on targeting at least 1000 real followers a day and unfollowing those that never contribute value is revealing. I guess its time to get more practical by applying all the tips! The tips are definitely solid so great job. One thing I personally dislike is following others just for them to follow back. I know it works really well, I’ve tested it extensively so I can’t argue with that. I agree that following someone just the sake of getting followback isn’t good – but as a marketer our targets are to get followers and retweets so that we can have a greater reach. Interesting info and very quick – to the point. Thanks. This is a great practical way to bet over 10K followers on here. I like the fact that you pointed out about getting quality people to follow. You definitely don’t want to just follow anyone, but only those that are consistently on twitter and are in similar niches as you are. With that said, it makes it easier for your to get 10K followers. One thing I didn’t know is that twitter limits you to follow 1000 people a day. I must take note of this! Thanks for sharing and I hope you’re having a great weekend! Great unique tips, I’ve been using few twitter accounts for my blogs and I guess your tips will surely bring some genuine followers. Awesome tips for increasing twitter followers. Reaching the first 10000 followers is the hard task and after that we could easily increase more in short time. I just began my website and building my twitter followers is my aim now and interestingly this is one post which has come in very handy. Thanks for this and I do wish you a merry Christmas in advance. Thanks for the excellent advice Uttoran! I really am not as savvy as I should be with regards to effectively marketing using social media in general and twitter in particular. So I really appreciate your “how to” information.At least now i have a much better idea of what I need to in order to maximize my results using twitter. Building an audience on Twitter is not difficult, it is all about giving some time and working hard towards it. In 2015, social media is a big “To Do” in my list as well. It’s my first time in your blog and I am glad to come and find a great article with good nuggets to use in the new year. I am not that active on twitter as I should be and this article just is what I need to get started right. Very handy and valuable information. Thanks Uttoran for a great share. Yes, we all need to get active on Twitter. It is really the #1 thing to-do on my list for 2015. I remember when I first starting using Twitter that first 10K seemed like it was always out of reach, but slowly and surely it finally hit it, it’s nice to have milestones that you want to reach on Twitter and it does give you the incentive to keep climbing up the Twitter ladder as much as you can. Yes, milestones helps a lot. I remember last year we made milestones for traffic and slowly reached it month after month – we are now at 30k uniques a month. Am nearing 6k followers on twitter but want to speed that up now. Many Thanks for your informative post. I have been trying to host an event and getting the right type of audience in Africa especially Ghana where its hosted, have any tips attracting the right audience? I have tried to share information using the handle of key prominent people,media personalities etc. Does that help? 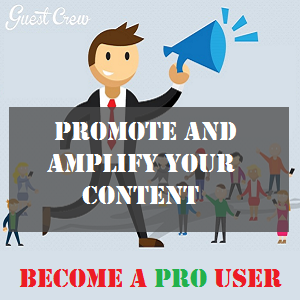 GuestCrew is built for launching events, start a social campaign rightaway! Getting the targeted audience to support the event is very important but with the right kind of marketing, it should not be impossible. I read your article which is amazing and i am glad to read this article because i also want to know increase my follower on twitter but i can’t understand how to increase. I hope your ideas will help me. I have created a new twitter account for my blog. I was looking for the same twitter knowledge that you provided. Because i don’t have any experience.in twitter handling. I hope your article will help me. The folks at Guest Crew are savvy content marketers who know their way around social media and understand how to squeeze the most shares and traffic from content. We’ve created the product that will help you promote your website or business.